Finding the perfect college scholarships will take work. College scholarship programs often have applications with essays and personal information. Therefore, you can expect it will take time to find applicable college scholarships. Making the most of your time and resources, you will need to remember a key axiom. The unwavering goal of college scholarships is to apply to as many quality scholarship matches as possible with a complete and compelling application. In addition to grants, college scholarships can be great tool in your financial aid toolbox. Take the process seriously can help substantially reduce the cost of college and set you up for success after graduation. Regardless of the type of college, university, or trade school you are interested in pursuing, invest the time to read our scholarship guide to help optimize your time and outcome. Scholarship Tip: Keep a digitized copy of all your college applications. This will allow you to quickly recreate a consistent set of responses to similar questions from application to application. Scholarship Tip: Be detailed-oriented and read instructions very carefully. Not all scholarships created equally. As such, different contractual terms may require different responses. Believe it or not, declining a scholarship may be better than being hamstrung by onerous terms and conditions buried in the fine print of the scholarship award. It is critical to understand that every scholarship can be different from one another. The sponsors establish the deadlines, application process, award amount, application materials, and scholarship type. As such, make sure to understand when scholarship applications are due as some are required to be submit nearly a year in advance. Start researching your college scholarship options as soon as possible with easy, free websites. With over $11 billion in awards at stake, you cannot afford not to spend time finding the best college scholarships. Do not let a lack of organization hinder your college scholarship opportunities. Create a working list of viable scholarships and gather the necessary paperwork as you move through the application process. This will allow you to ask for letters of recommendation once for several applications versus multiple times. The individuals providing your letters of recommendation will greatly appreciate this! Scholarship Tip: Start scholarship applications early. Collect information about quality scholarship matches as soon as you can. Prioritize the scholarships by best award amount, match, and application deadline. Scholarship Tip: If you are applying for an organization-specific scholarship, be prepared to provide proof of membership or validation of inclusion. After the painstaking process of finding the right college scholarships for you, gathering requisite information, and completing the application, it is incumbent upon you to perform a final review. Carefully reviewing your college scholarship application and related materials will help ensure a successful submission and boost your odds of earning an award. An incomplete application with missing information will surely reflect poorly on you and your chances of moving to the final round. Take time to review your completed materials and request input from a trusted source. Obtaining constructive feedback may be the difference between earning a substantive college scholarship and carrying debt through school. If a scholarship required you to submit a video (music, athletics, theatre) or portfolio (art, science, teaching) focus on compiling a salient, condensed version of your best material. The scholarship sponsors will likely receive a number of applications and an extended video or portfolio with filler material can often translate into a muted overall impact. 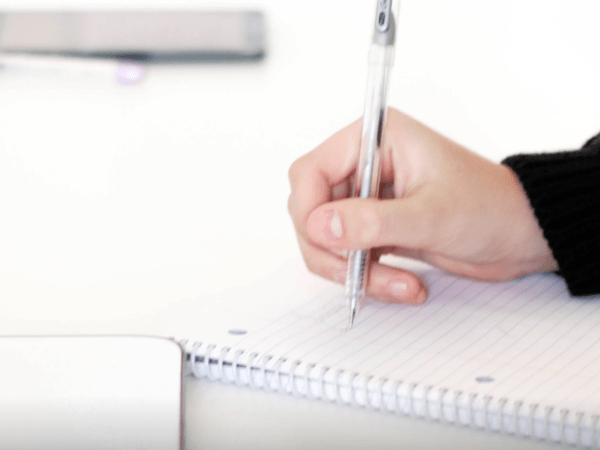 For scholarship essays, focus on the topic at hand and create an initial draft to vet ideas. Stay on topic, be truthful, and make sure the essay is representative of you in relation to the scholarship at hand. Winnow those down to a working copy and request a second set of eyes to help refine any ideas or thoughts before creating a final version. The extra work will provide a fresh perspective and often yield a better overall essay. Scholarship Tip: Keep your application and essay on-point. Be memorable and concise. Always present yourself in a way that is authentic in relation to the scholarship guidelines. Scholarship Tip: Follow all instructions listed on the scholarship carefully. Performing more or less than requested can substantially hinder your odds of receiving a scholarship award. For additional resources, make sure to visit MatchCollege and subscribe to our blog for the latest in college information. Gain quick access to the perfect college for you by researching schools using our school finder technology or online degree platform. In either case, top ranked schools will quickly reach out to answer your questions about the school inside a single portal.